Thanks for choosing PURI (“PURI”, “we”, “us”, “our”). By signing up or otherwise using the PURI service, websites, and software applications (together, the “PURI Service” or “Service”), or accessing any content or material that is made available by PURI through the Service (the “Content”) you are entering into a binding contract with the PURI entity indicated at the bottom of this document. The PURI Service also includes the PURI Support Community as further described in the PURI Support Community section. The PURI Service includes social and interactive features. Use of the PURI Service relies on several technical requirements. Please read the Agreements carefully. They cover important information about PURI Services provided to you and any charges, taxes, and fees we bill you. The Agreements include information about future changes to the Agreements, export controls, automatic renewals, limitations of liability, privacy information, a class action waiver, and resolution of disputes by arbitration instead of in court. Any information that you provided during sign-up can be corrected during the sign-up process by returning to the previous screens and correcting erroneous information or by going to your profile page and updating the information. In order to use the PURI Service and access the Content, you need to (1) be 18 or older, or be 13 or older and have your parent or guardian’s consent to the Agreements (except as set forth in the chart below), (2) have the power to enter a binding contract with us and not be barred from doing so under any applicable laws, and (3) be resident in a country where the Service is available. You also promise that any registration information that you submit to PURI is true, accurate, and complete, and you agree to keep it that way at all times. Chile, Ecuador, Paraguay, Peru : Must be 18 or older, or be 15 or older and have parent or guardian consent. Brazil : Must be 18 or older, or be 16 or older and have parent or guardian consent. Nicaragua, Taiwan : Must be 20 or older, or be 13 or older and have parent or guardian consent. Bulgaria, Hungary, Germany: Must be 18 or older, or be 14 or older and have parent or guardian consent. Italy: Must be 13 or older to use Free Service. To register for a Paid Subscription, you must be 18 or older, or be 13 or older and have parent or guardian consent (your parents/guardians will enter into contract on behalf of you). Malaysia: Must be 18 or older, or if 13 to 18, parent or guardian consent is required, and guardian enters into agreement. Lithuania: Must be 13 or older to use Service. For Paid Subscriptions, you must be 18 or older, or be 14 or older with parent or guardian consent. If you are 13 to 18, guardian enters into agreement. Canada: Must be 13 or older to use Service. For Paid Subscriptions, you must be age of majority in your province or territory of residence, or 13 or older with parent or guardian consent. Spain: Must be 14 or older to use Free Service. To register for a Paid Subscription, you must be 18 or older, or be 14 or older and have parent or guardian consent (your parents/guardians will enter into contract on behalf of you). Here’s some information about all the ways you can use PURI. PURI provides storage, analysis and sharing of health test data input by the user from registered medical devices. The PURI application is not a medical device and makes no claim as such. Users must follow the manufacturer’s instructions when determining which data to input into PURI. Certain PURI services are provided to you free-of-charge. Other PURI services require payment before you can access them. The PURI services that may be accessed after payment are currently referred to as the “Paid Subscription”. The PURI service that does not require payment is currently referred to as the “Free Service”. You can learn more about our services by visiting our website. If you have purchased or received a code, gift card, pre-paid offer or other offer provided or sold by or on behalf of PURI for access to a Paid Subscription (“Code”), separate terms and conditions presented to you along with the Code may also apply to your access to the Service and you agree to comply with any such terms and conditions. From time to time, we or others on our behalf may offer trials of Paid Subscriptions for a specified period without payment or at a reduced rate (a “Trial”). PURI reserves the right, in its absolute discretion, to determine your eligibility for a Trial, and, subject to applicable laws, to withdraw or to modify a Trial at any time without prior notice and with no liability, to the greatest extent permitted under the law. For some Trials, we’ll require you to provide your payment details to start the Trial. AT THE END OF SUCH TRIALS, WE MAY AUTOMATICALLY START TO CHARGE YOU FOR THE APPLICABLE PAID SUBSCRIPTION ON THE FIRST DAY FOLLOWING THE END OF THE TRIAL, ON A RECURRING MONTHLY BASIS. BY PROVIDING YOUR PAYMENT DETAILS IN CONJUNCTION WITH THE TRIAL, YOU AGREE TO THIS CHARGE USING SUCH PAYMENT DETAILS. IF YOU DO NOT WANT THIS CHARGE, YOU MUST CANCEL THE APPLICABLE PAID SUBSCRIPTION THROUGH YOUR PURI ACCOUNT’S SUBSCRIPTION PAGE OR TERMINATE YOUR PURI ACCOUNT BEFORE THE END OF THE TRIAL. IF YOU DO NOT WANT TO CONTINUE TO BE CHARGED ON A RECURRING ANNUAL BASIS, YOU MUST CANCEL THE APPLICABLE PAID SUBSCRIPTION THROUGH YOUR PURI ACCOUNT’S SUBSCRIPTION PAGE OR TERMINATE YOUR PURI ACCOUNT BEFORE THE END OF THE RECURRING MONTHLY PERIOD. PAID SUBSCRIPTIONS CANNOT BE TERMINATED BEFORE THE END OF THE PERIOD FOR WHICH YOU HAVE ALREADY PAID, AND EXCEPT AS EXPRESSLY PROVIDED IN THESE TERMS, PURI WILL NOT REFUND ANY FEES THAT YOU HAVE ALREADY PAID. THE LIMITATION SECTION SETS FORTH ADDITIONAL TERMS REGARDING CANCELLATION OF YOUR PAID SUBSCRIPTION. The PURI Service and the Content are the property of PURI or PURI’s licensors. We grant you a limited, non-exclusive, revocable licence to make use of the PURI Service, and a limited, non-exclusive, revocable licence to make personal, non-commercial, use of the Content (the “Licence”). This Licence shall remain in effect until and unless terminated by you or PURI. You promise and agree that you are using the Content for your own personal, non-commercial, entertainment use and that you will not redistribute or transfer the PURI Service or the Content. The PURI software applications and the Content are licensed, not sold, to you, and PURI and its licensors retain ownership of all copies of the PURI software applications and Content even after installation on your personal computers, mobile handsets, tablets, and/or other relevant devices (“Devices”). All PURI trademarks, service marks, trade names, logos, domain names, and any other features of the PURI brand (“PURI Brand Features”) are the sole property of PURI or its licensors. The Agreements do not grant you any rights to use any PURI Brand Features whether for commercial or non-commercial use. You agree to abide by our User guidelines and not to use the PURI Service, the Content, or any part thereof in any manner not expressly permitted by the Agreements. Except for the rights expressly granted to you in these Agreements, PURI grants no right, title, or interest to you in the PURI Service or Content. Third party software (for example, open source software libraries) included in the PURI Service are licensed to you either under the Agreements or under the relevant third party software library’s licence terms as published in the help or settings section of our desktop and mobile client and/or on our website. The PURI Service is integrated with third party applications, websites, and services (“Third Party Applications”) to make available content, products, and/or services to you. These Third Party Applications may have their own terms and conditions of use and privacy policies and your use of these Third Party Applications will be governed by and subject to such terms and conditions and privacy policies. You understand and agree that PURI does not endorse and is not responsible or liable for the behavior, features, or content of any Third Party Application or for any transaction you may enter into with the provider of any such Third Party Applications. PURI users may post, upload, and/or contribute (“post”) content to the Service (which may include, for example, pictures, text, messages, information, and/or other types of content) (“User Content”). 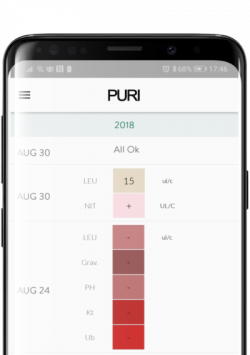 For the avoidance of doubt, “User Content” includes any such content posted to the PURI Support Community as well as any other part of the PURI Service. You promise that, with respect to any User Content you post on PURI, (1) you have the right to post such User Content, and (2) such User Content, or its use by PURI as contemplated by the Agreements, does not violate the Agreements, applicable law, or the intellectual property (including without limitation copyright), publicity, personality, or other rights of others or imply any affiliation with or endorsement of you or your User Content by PURI or any, entity or individual without express written consent from such individual or entity. PURI may, but has no obligation to, monitor, review, or edit User Content. In all cases, PURI reserves the right to remove or disable access to any User Content for any or no reason, including but not limited to, User Content that, in PURI’s sole discretion, violates the Agreements. PURI may take these actions without prior notification to you or any third party. Removal or disabling of access to User Content shall be at our sole discretion, and we do not promise to remove or disable access to any specific User Content. You are solely responsible for all User Content that you post. PURI is not responsible for User Content nor does it endorse any opinion contained in any User Content. YOU AGREE THAT IF ANYONE BRINGS A CLAIM AGAINST PURI RELATED TO USER CONTENT THAT YOU POST, THEN, TO THE EXTENT PERMISSIBLE UNDER LOCAL LAW, YOU WILL INDEMNIFY AND HOLD PURI HARMLESS FROM AND AGAINST ALL DAMAGES, LOSSES, AND EXPENSES OF ANY KIND (INCLUDING REASONABLE ATTORNEY FEES AND COSTS) ARISING OUT OF SUCH CLAIM. In consideration for the rights granted to you under the Agreements, you grant us the right (1) to allow the PURI Service to use the processor, bandwidth, and storage hardware on your Device in order to facilitate the operation of the Service, (2) to provide advertising and other information to you, and (3) to allow our business partners to do the same. In any part of the PURI Service, the Content you view, including its selection and placement, may be influenced by commercial considerations, including agreements with third parties. Some Content licensed or provided to PURI may contain advertising as part of the Content. In such cases, PURI will make such Content available to you unmodified. If you provide feedback, ideas or suggestions to PURI in connection with the PURI Service or Content (“Feedback”), you acknowledge that the Feedback is not confidential and you authorize PURI to use that Feedback without restriction and without payment to you. Feedback is considered a type of User Content. PURI respects intellectual property rights and expects you to do the same. We’ve established a few ground rules for you to follow when using the Service, to make sure PURI stays enjoyable for everyone. Please follow these rules and encourage other users to do the same. interferes with or in any way disrupts the PURI Service, tampers with, breaches, or attempts to probe, scan, or test for vulnerabilities in the Service or PURI’s computer systems, network, usage rules, or any of PURI’s security components, authentication measures or any other protection measures applicable to the Service, the Content or any part thereof; or conflicts with the Agreements, as determined by PURI. You acknowledge and agree that posting any such User Content may result in immediate termination or suspension of your PURI account. You also agree that PURI may also reclaim your username for any reason. Please be thoughtful about how you use the PURI Service and what you share. The PURI Service includes social and interactive features, including the ability to post User Content, share content, and make certain information about you public. Remember that shared or publicly available information may be used and re-shared by other users on PURI or across the web, so please use PURI carefully and be mindful of your account settings. PURI has no responsibility for your choices to post material on the Service. PURI respects the rights of intellectual property owners. If you believe that any Content infringes your intellectual property rights or other rights, see PURI’s copyright policy. If PURI is notified by a copyright holder that any Content infringes a copyright, PURI may in its absolute discretion take actions without prior notification to the provider of that Content. If the provider believes that the content is not infringing, the provider may submit a counter-notification to PURI with a request to restore the removed content. PURI will make reasonable efforts to keep the PURI Service operational. However, certain technical difficulties or maintenance may, from time to time, result in temporary interruptions. To the extent permissible under applicable law, PURI reserves the right, periodically and at any time, to modify or discontinue, temporarily or permanently, functions and features of the PURI Service, with or without notice, all without liability to you, except where prohibited by law, for any interruption, modification, or discontinuation of the PURI Service or any function or feature thereof. Notwithstanding the foregoing, if you have prepaid fees for Paid Subscriptions that PURI permanently discontinues prior to the end of the Pre-Paid Period (defined in the Payments, cancellations, and cooling off section), PURI will refund you the prepaid fees for the Pre-Paid Period after such discontinuation. You understand, agree, and accept that PURI has no obligation to maintain, support, upgrade, or update the Service, or to provide all or any specific content through the Service. This section will be enforced to the extent permissible by applicable law. PURI and/or the owners of any Content may, from time to time, remove any such Content without notice to the extent permitted by applicable law. If you establish a PURI account on behalf of a company, organization, entity, or brand (a “Brand”, and such account a “Brand Account”), the terms “you” and “your”, as used throughout the Agreements, apply to both you and the Brand, as applicable. The Brand may only contact users who first contact the Brand; and the Brand may not take any action that implies an endorsement or relationship between the Brand and the contacted user, unless the Brand has independently obtained the rights to imply such an endorsement. Upon PURI’s request, in its sole discretion, a Brand must cease contact with a user. The PURI Support Community is a place for discussions and exchange of information, tips, and other materials related to the PURI Service. In order to use the PURI Support Community, you must (1) have an existing PURI account; and (2) authenticate your PURI account for use on the Support Community (a “PURI Support Account”). Instructions for creating a PURI Support Account can be found on the Community registration page. In addition to the Agreements, you also agree to adhere to the PURI Support Community Guidelines that you will be presented with upon registration (the “Support Community Guidelines”) when using the PURI Support Community. If you do not agree to the Agreements or the Support Community Guidelines, you may not use the PURI Support Community. By creating a PURI Support Account, you confirm that any registration information that you submit to PURI is true, accurate, and complete and that you will update such information in order to keep it current. It is strictly prohibited to include information in your profile that suggests that you are a PURI employee or moderator or to otherwise pose as such an employee or moderator when using the PURI Support Community. You also acknowledge and agree that PURI may remove or reclaim your username at any time if PURI in its absolute discretion considers such action appropriate. No User Content or other content posted by PURI employees, moderators and/or representatives on the PURI Support Community should be construed as official support provided by PURI. For details regarding official support, see the section Customer Support. Any content provided or made available to you on the PURI Support Community by PURI employees, moderators, and/or representatives is provided on an “as is” basis without warranties of any kind. You acknowledge that opinions expressed in User Content on the PURI Support Community are those of contributors of such User Content only and do not reflect the opinions or policies of PURI or any of its officers, shareholders, employees, agents, directors, subsidiaries, affiliates, suppliers, or licensors. The PURI Support Community features a reward system whereby PURI, in its sole discretion, may reward users based on the amount of “Likes” received or quality of responses by a user. You agree to only give Likes to other users (and not to yourself) and only when deserved, and to refrain from any attempts to manipulate the reward system, e.g., by creating multiple accounts or artificial responses. You acknowledge that PURI’s decision in respect of any reward shall be final and binding. PURI’s products may be subject to U.S. export and re-export control laws and regulations or similar laws applicable in other jurisdictions, including the Export Administration Regulations (“EAR”) maintained by the U.S. Department of Commerce, trade and economic sanctions maintained by the Treasury Department’s Office of Foreign Assets Control (“OFAC”), and the International Traffic in Arms Regulations (“ITAR”) maintained by the Department of State. You warrant that you are (1) not located in Cuba, Iran, North Korea, Sudan, or Syria; and (2) are not a denied party as specified in the regulations listed above. You agree to comply with all applicable export and reexport control laws and regulations, including the EAR, trade and economic sanctions maintained by OFAC, and the ITAR. Specifically, you agree that you shall not – directly or indirectly – sell, export, reexport, transfer, divert, or otherwise dispose of any products, software, or technology (including products derived from or based on such technology) received from PURI under the Agreements to any destination, entity, or person prohibited by any applicable laws or regulations of the United States or any other jurisdiction without obtaining prior authorization from the competent government authorities as required by those laws and regulations. This export control clause shall survive termination or cancellation of the Agreements. Paid Subscriptions can be purchased directly from PURI or through a third party, such as an online app store, either by (1) paying a monthly subscription fee; or (2) pre-payment giving you access to the PURI Service for a specific time period (“Pre-Paid Period”). If you have purchased a Paid Subscription using a Code, your Paid Subscription will automatically terminate at the end of the Pre-Paid Period, or when there is an insufficient pre-paid balance to pay for the Service. When you register for a Paid Subscription, Trial, or Code online, you consent to get access to PURI Subscription Services immediately. If you reside outside the United States and register for a Paid Subscription or Code online, you may change your mind for any or no reason and receive a full refund of all monies paid within fourteen (14) days starting from the day you sign-up for the relevant service (the “Cooling-off Period”). Refunds will not, however, be provided if you have accessed PURI at any time during the Cooling-off Period. Unless your Paid Subscription has been purchased as a Pre-Paid Period, your payment to PURI will automatically renew at the end of the subscription period, unless you cancel your Paid Subscription through your subscription page before the end of the current subscription period. The cancellation will take effect the day after the last day of the current subscription period, and you will be downgraded to the Free Service. However, if you cancel your payment or Paid Subscription and/or terminate any of the Agreements (1) after you have accessed PURI during the Cooling-off Period, or (2) after the Cooling-off Period is over (where applicable), or (3) before the end of the current subscription period, we will not refund any subscription fees already paid to us. The refund method will depend upon the payment method. PURI may change the price for the Paid Subscriptions, Pre-Paid Period (for periods not yet paid for), or Codes from time to time, and will communicate any price changes to you in advance and, if applicable, how to accept those changes. Price changes for Paid Subscriptions will take effect at the start of the next subscription period following the date of the price change. As permitted by local law, you accept the new price by continuing to use the PURI Service after the price change takes effect. If you do not agree with the price changes, you have the right to reject the change by unsubscribing from the PURI Service prior to the price change going into effect. Please therefore make sure you read any such notification of price changes carefully. The Agreements will continue to apply to you until terminated by either you or PURI. However, you acknowledge and agree that the perpetual licence granted by you in relation to User Content, including Feedback, is irrevocable and will therefore continue after expiry or termination of any of the Agreements for any reason. PURI may terminate the Agreements or suspend your access to the PURI Service at any time, including in the event of your actual or suspected unauthorised use of the PURI Service and/or Content, or non-compliance with the Agreements. If you or PURI terminate the Agreements, or if PURI suspends your access to the PURI Service, you agree that PURI shall have no liability or responsibility to you and PURI will not refund any amounts that you have already paid, to the fullest extent permitted under applicable law. To learn how to terminate your PURI account, please contact us through the Customer Service contact form which is available on our About Us page. This section will be enforced to the extent permissible by applicable law. You may terminate the Agreements at any time. WE ENDEAVOUR TO PROVIDE THE BEST SERVICE WE CAN, BUT YOU UNDERSTAND AND AGREE THAT THE PURI SERVICE IS PROVIDED “AS IS” AND “AS AVAILABLE”, WITHOUT EXPRESS OR IMPLIED WARRANTY OR CONDITION OF ANY KIND. YOU USE THE PURI SERVICE AT YOUR OWN RISK. TO THE FULLEST EXTENT PERMITTED BY APPLICABLE LAW, PURI AND ALL OWNERS OF THE CONTENT MAKE NO REPRESENTATIONS AND DISCLAIM ANY WARRANTIES OR CONDITIONS OF SATISFACTORY QUALITY, MERCHANTABILITY, FITNESS FOR A PARTICULAR PURPOSE, OR NON-INFRINGEMENT. NEITHER PURI NOR ANY OWNER OF CONTENT WARRANTS THAT THE PURI SERVICE IS FREE OF MALWARE OR OTHER HARMFUL COMPONENTS. IN ADDITION, PURI MAKES NO REPRESENTATION NOR DOES IT WARRANT, ENDORSE, GUARANTEE, OR ASSUME RESPONSIBILITY FOR ANY THIRD PARTY APPLICATIONS (OR THE CONTENT THEREOF), USER CONTENT, OR ANY OTHER PRODUCT OR SERVICE ADVERTISED OR OFFERED BY A THIRD PARTY ON OR THROUGH THE PURI SERVICE OR ANY HYPERLINKED WEBSITE, OR FEATURED IN ANY BANNER OR OTHER ADVERTISING. YOU UNDERSTAND AND AGREE THAT PURI IS NOT RESPONSIBLE OR LIABLE FOR ANY TRANSACTION BETWEEN YOU AND THIRD PARTY PROVIDERS OF THIRD PARTY APPLICATIONS OR PRODUCTS OR SERVICES ADVERTISED ON OR THROUGH THE PURI SERVICE. AS WITH ANY PURCHASE OF A PRODUCT OR SERVICE THROUGH ANY MEDIUM OR IN ANY ENVIRONMENT, YOU SHOULD USE YOUR JUDGMENT AND EXERCISE CAUTION WHERE APPROPRIATE. NO ADVICE OR INFORMATION WHETHER ORAL OR IN WRITING OBTAINED BY YOU FROM PURI SHALL CREATE ANY WARRANTY ON BEHALF OF PURI IN THIS REGARD. SOME ASPECTS OF THIS SECTION MAY NOT APPLY IN SOME JURISDICTIONS IF PROHIBITED BY APPLICABLE LAW. YOU AGREE THAT, TO THE EXTENT PERMITTED BY APPLICABLE LAW, YOUR SOLE AND EXCLUSIVE REMEDY FOR ANY PROBLEMS OR DISSATISFACTION WITH THE PURI SERVICE IS TO UNINSTALL ANY PURI SOFTWARE AND TO STOP USING THE PURI SERVICE. WHILE PURI ACCEPTS NO RESPONSIBILITY FOR THIRD PARTY APPLICATIONS OR THE CONTENT THEREOF, AND WHILE YOUR RELATIONSHIP WITH SUCH THIRD PARTY APPLICATIONS MAY BE GOVERNED BY SEPARATE AGREEMENTS WITH SUCH THIRD PARTIES, TO THE EXTENT PERMITTED BY APPLICABLE LAW, YOUR SOLE AND EXCLUSIVE REMEDY, AS WITH RESPECT TO PURI, FOR ANY PROBLEMS OR DISSATISFACTION WITH THIRD PARTY APPLICATIONS OR THE CONTENT THEREOF, IS TO UNINSTALL AND/OR STOP USING ANY SUCH THIRD PARTY APPLICATIONS. TO THE FULLEST EXTENT PERMITTED BY LAW, IN NO EVENT WILL PURI, ITS OFFICERS, SHAREHOLDERS, EMPLOYEES, AGENTS, DIRECTORS, SUBSIDIARIES, AFFILIATES, SUCCESSORS, ASSIGNS, SUPPLIERS, OR LICENSORS BE LIABLE FOR (1) ANY INDIRECT, SPECIAL, INCIDENTAL, PUNITIVE, EXEMPLARY, OR CONSEQUENTIAL DAMAGES; (2) ANY LOSS OF USE, DATA, BUSINESS, OR PROFITS (WHETHER DIRECT OR INDIRECT), IN ALL CASES ARISING OUT OF THE USE OR INABILITY TO USE THE PURI SERVICE, THIRD PARTY APPLICATIONS, OR THIRD PARTY APPLICATION CONTENT, REGARDLESS OF LEGAL THEORY, WITHOUT REGARD TO WHETHER PURI HAS BEEN WARNED OF THE POSSIBILITY OF THOSE DAMAGES, AND EVEN IF A REMEDY FAILS OF ITS ESSENTIAL PURPOSE; OR (3) AGGREGATE LIABILITY FOR ALL CLAIMS RELATING TO THE PURI SERVICE, THIRD PARTY APPLICATIONS, OR THIRD PARTY APPLICATION CONTENT MORE THAN THE AMOUNTS PAID BY YOU TO PURI DURING THE PRIOR TWELVE MONTHS IN QUESTION, TO THE EXTENT PERMISSIBLE BY APPLICABLE LAW. Nothing in the Agreements removes or limits PURI’s liability for fraud, fraudulent misrepresentation, death or personal injury caused by its negligence, and, if required by applicable law, gross negligence. Some aspects of this section may not apply in some jurisdictions if prohibited by applicable law. You acknowledge and agree that the owners of the Content and certain distributors (such as app store providers) are intended beneficiaries of the Agreements and have the right to enforce the Agreements directly against you. Other than as set out in this section, the Agreements are not intended to grant rights to anyone except you and PURI, and in no event shall the Agreements create any third party beneficiary rights. Furthermore, the rights to terminate, rescind, or agree to any variation, waiver, or settlement of the Agreements are not subject to the consent of any other person. If you have downloaded the App from the Apple, Inc. (“Apple”) App Store or if you are using the App on an iOS device, you acknowledge that you have read, understood, and agree to the following notice regarding Apple. This Agreement is between you and PURI only, not with Apple, and Apple is not responsible for the Service and the content thereof. Apple has no obligation whatsoever to furnish any maintenance and support services with respect to the Service. In the event of any failure of the Service to conform to any applicable warranty, then you may notify Apple and Apple will refund any applicable purchase price for the App to you; and, to the maximum extent permitted by applicable law, Apple has no other warranty obligation whatsoever with respect to the Service. Apple is not responsible for addressing any claims by you or any third party relating to the Service or your possession and/or use of the Service, including, but not limited to: (1) product liability claims; (2) any claim that the Service fails to conform to any applicable legal or regulatory requirement; and (3) claims arising under consumer protection or similar legislation. Apple is not responsible for the investigation, defense, settlement and discharge of any third party claim that the Service and/or your possession and use of the App infringe that third party’s intellectual property rights. You agree to comply with any applicable third party terms, when using the Service. Apple, and Apple’s subsidiaries, are third party beneficiaries of this Agreement, and upon your acceptance of this Agreement, Apple will have the right (and will be deemed to have accepted the right) to enforce this Agreement against you as a third party beneficiary of this Agreement. You hereby represent and warrant that (1) you are not located in a country that is subject to a U.S. Government embargo, or that has been designated by the U.S. Government as a “terrorist supporting” country; and (2) you are not listed on any U.S. Government list of prohibited or restricted parties. Other than as stated in this section or as explicitly agreed upon in writing between you and PURI, the Agreements constitute all the terms and conditions agreed upon between you and PURI and supersede any prior agreements in relation to the subject matter of these Agreements, whether written or oral. Please note, however, that other aspects of your use of the PURI Service may be governed by additional agreements. That could include, for example, access to the PURI Service as a result of a gift card or free or discounted Trials. When you are presented with an offer for such aspects of your use, you will be presented with any related additional agreement, and you may have an opportunity to agree to additional terms. Some of those additional terms are listed on PURI’s website. To the extent that there is any irreconcilable conflict between any additional terms and these Terms, the additional terms shall prevail. Any failure by PURI or any third party beneficiary to enforce the Agreements or any provision thereof shall not waive PURI’s or the applicable third party beneficiary’s right to do so. PURI may assign the Agreements or any part of them, and PURI may delegate any of its obligations under the Agreements. You may not assign the Agreements or any part of them, nor transfer or sub-license your rights under the Agreements, to any third party. To the fullest extent permitted by applicable law, you agree to indemnify and hold PURI harmless from and against all damages, losses, and expenses of any kind (including reasonable attorney fees and costs) arising out of: (1) your breach of this Agreement; (2) any User Content; (3) any activity in which you engage on or through the PURI Service; and (4) your violation of any law or the rights of a third party. PURI does not accept any codes of conduct as mandatory in connection with the services provided under these Agreements. WHERE PERMITTED UNDER THE APPLICABLE LAW, YOU AND PURI AGREE THAT EACH MAY BRING CLAIMS AGAINST THE OTHER ONLY IN YOUR OR ITS INDIVIDUAL CAPACITY AND NOT AS A PLAINTIFF OR CLASS MEMBER IN ANY PURPORTED CLASS OR REPRESENTATIVE ACTION. Unless both you and PURI agree, no arbitrator or judge may consolidate more than one person’s claims or otherwise preside over any form of a representative or class proceeding. You and PURI agree that any dispute, claim, or controversy between you and PURI arising in connection with or relating in any way to these Agreements or to your relationship with PURI as a user of the Service (whether based in contract, tort, statute, fraud, misrepresentation, or any other legal theory, and whether the claims arise during or after the termination of the Agreements) will be determined by mandatory binding individual arbitration. Arbitration is more informal than a lawsuit in court. THERE IS NO JUDGE OR JURY IN ARBITRATION, AND COURT REVIEW OF AN ARBITRATION AWARD IS LIMITED. There may be more limited discovery than in court. The arbitrator must follow this agreement and can award the same damages and relief as a court (including attorney fees), except that the arbitrator may not award declaratory or injunctive relief benefiting anyone but the parties to the arbitration. This arbitration provision will survive termination of the Agreements. Notwithstanding clause (24.3.1) above, you and PURI both agree that nothing herein will be deemed to waive, preclude, or otherwise limit either of our rights, at any time, to (1) bring an individual action in small claims court, (2) pursue enforcement actions through applicable federal, state, or local agencies where such actions are available, (3) seek injunctive relief in a court of law, or (4) to file suit in a court of law to address intellectual property infringement claims. Either you or we may start arbitration proceedings. Any arbitration between you and PURI will be finally settled under the Rules of Arbitration of the International Chamber of Commerce (the “ICC”) then in force (the “ICC Rules”) by one or more arbitrators appointed in accordance with the ICC Rules, as modified by these Agreements, and will be administered by the International Court of Arbitration of the ICC. Any arbitration will be conducted in the English language and unless otherwise required by a mandatory law of a member state of the European Union or any other jurisdiction, the law to be applied in any arbitration shall be the law of the Kanton of Basel-Stadt, Switzerland, without regard to choice or conflicts of law principles. A party who intends to seek arbitration must first send a written notice of the dispute to the other, by certified mail or Federal Express (signature required), or in the event that we do not have a physical address on file for you, by electronic mail (“Notice”). PURI’s address for Notice is: PURI, Attn: General Counsel, Dornacherstrasse 248, 4053 BS, Switzerland. The Notice must (1) describe the nature and basis of the claim or dispute; and (2) set forth the specific relief sought (“Demand”). We agree to use good faith efforts to resolve the claim directly, but if we do not reach an agreement to do so within 30 days after the Notice is received, you or PURI may commence an arbitration proceeding. During the arbitration, the amount of any settlement offer made by you or PURI shall not be disclosed to the arbitrator until after the arbitrator makes a final decision and award, if any. In the event our dispute is finally resolved through arbitration in your favor, PURI shall pay you (1) the amount awarded by the arbitrator, if any, (2) the last written settlement amount offered by PURI in settlement of the dispute prior to the arbitrator’s award; or (3) $1,000.00, whichever is greater. All documents and information disclosed in the course of the arbitration shall be kept strictly confidential by the recipient and shall not be used by the recipient for any purpose other than for purposes of the arbitration or the enforcement of arbitrator’s decision and award and shall not be disclosed except in confidence to persons who have a need to know for such purposes or as required by applicable law. Except as required to enforce the arbitrator’s decision and award, neither you nor PURI shall make any public announcement or public comment or originate any publicity concerning the arbitration, including, but not limited to, the fact that the parties are in dispute, the existence of the arbitration, or any decision or award of the arbitrator. In the event that PURI makes any future change to this arbitration provision (other than a change to PURI’s address for Notice), you may reject any such change by sending us written notice within 30 days of the change to PURI’s address for Notice, in which case your account with PURI shall be immediately terminated and this arbitration provision, as in effect immediately prior to the amendments you reject, shall survive. If you have any questions concerning the PURI Service or the Agreements, please contact PURI customer service by visiting the About Us section of our website. If you are a California resident, you may have the Agreements mailed to you electronically by sending a letter to PURI, Attn: General Counsel, 45 West 18th Street, 7th Floor, New York, New York 10011, USA with your email address and a request for the Agreements. In addition, under California Civil Code Section 1789.3, you may contact the Complaint Assistance Unit of the Division of Consumer Services of the California Department of Consumer Affairs in writing at 1625 N. Market Blvd., Suite S-202, Sacramento, California 95834, or by telephone at 1-800-952-5210 in order to resolve a complaint regarding the service or to receive further information regarding use of the service. Thank you for reading our Terms. We hope you enjoy PURI!